With the help of Download mode you can easily download and flash ROM’s and Kernels on your Samsung Galaxy Device. Download mode also knows as “Fastboot” or “Odin 3” mode. You should know that it will be risky to using thing the download mode. First we have to know what is the download mode and how to enter Download Mode on any Samsung phones quickly. Download mode allows you to quickly flash stock firmware’s, pit files, bootloader, modems, root package or custom recovery files with the help of PC. 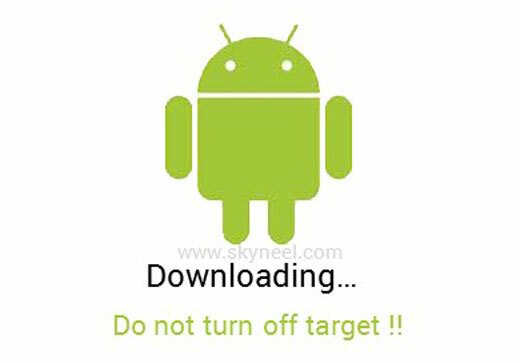 But you must have to know using the download mode is not so easy, it’s dangerous for your device. You must have to know about the risk before using the download mode on your device. If you are not carefully then download mode easily permanently brick your device. During flashing anything else in the download mode will void your Samsung Galaxy warranty also. We are not responsible for any kind of damage of your device during entering or using the download mode. It will be your own risk, so be carefully during using the download mode on your device. If you want to use download mode or flash files with the help of PC on your device then you just take following simple steps. After that you can easily and quickly flash stock firmware’s, bootloader, use custom recovery file and many more. Step 1: You have to properly turn off your Samsung Galaxy device. 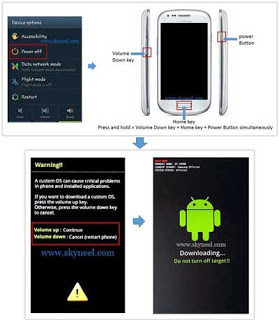 Step 2: Now, Simultaneously press Power + Volume Down + Home Keys of your Samsung Galaxy device. Step 3: You will see the download mode on your device and get a warning message on your screen do you want to cancel or continue. If you want to continue this process then press the “Volume UP” button otherwise press “Volume Down” button to cancel or reboot the download mode. Note: If you want to flash anything else on your device then you must need to download “Odin” on your device. Step 2: Press and hold Power + Volume Down key or Power + Volume Up key on your device. Now, you should get a warning message if you want to continue the process then press “Volume Up” button on your device. Step 2: Press and hold Power + Volume Down key on your device. Now, you should get a warning message if you want to continue the process then press “Volume Up” button on your device. Step 1: Install Android Adb and fastboot drivers on your Samsung Galaxy device. Step 2: Enable debugging on your device by tapping on the Menu option. Tap on the “Settings” and choose “Application” option. Here you have to tap on the “Development” option. Step 3: Connect your phone via USB cable with the PC. Now open the command prompt by typing the “cmd” and press enter in the “Run” box. Step 4: Type the “adb devices” to properly recognize your device. Now, type “adb reboot download” and press enter key to continue. Now, you should enter download mode and get and yellow triangle with sign of exclamation. I hope after reading all those methods you can easily enter Download Mode on any Samsung phones. If you have any query regarding this article then please write us in the comment box. Thanks to all.